Homeownership is the American dream. Unfortunately, many families are unable to afford the down payment, closing costs, and related fees without help. The Good Neighbor Next Door program and the Teacher Next Door program are two types of housing programs available for eligible candidates. A first time home buyer program can help people acquire low-interest mortgages. As these programs are often backed by government organizations, qualification requirements are often more lax than with conventional loans. Learn more about the Good Neighbor Next Door and the Teacher Next Door programs and the differences between them. Eligibility requirements for the Good Neighbor Next Door program and the Teacher Next Door program differ. Under the Good Neighbor Next Door program, home buyers are required to have specific job titles. These include classroom teacher (pre-k through 12th grade), law enforcement officer (with the power to arrest), emergency medical technician (EMT), or firefighter. The Teacher Next Door program is open to all teachers, firefighters, law enforcement, EMTs, and all related support staff. The Teacher Next Door program also extends to military personnel, government employees, and nurses and other medical professionals. Many families rely on down payment assistance when buying a home. One main difference between the Good Neighbor Next Door program and the Teacher Next Door program is only the latter offer down payment assistance. While the Good Neighbor Next Door program does not offer any down payment assistance with the exception of the $100.00 down plan on Good Neighbor homes, the Teacher Next Door program offers down payment assistance programs in all 50 states. Programs are structured differently depending on your city and state. 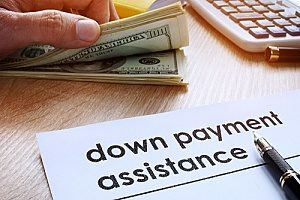 A representative can help you determine if you qualify for down payment assistance. Depending on where you want to purchase a home, you may have some limitations if you choose to go through the Good Neighbor Next Door program. All Good Neighbor Next Door homes are owned by the U.S. Department of Housing and Urban Development (HUD). HUD-owned homes are primarily located in revitalization areas. If you plan to purchase a Good Neighbor home, you must be willing to work in the same area where the house is located. The Teacher Next Door program, on the other hand, is not operated by HUD. Under this program, buyers have the opportunity to purchase any home on the market and can work in areas further away from their home. Grants can be highly useful for families who need extra funds to put towards the purchase of a home. The Teacher Next Door program allows qualified candidates to receive special grants. These grants can be used to pay all or part of your home’s closing costs. Unfortunately, the Good Neighbor Next Door program does not offer grants. However, the Good Neighbor Next Door program does offer homes at 50 percent of their current appraised value which can lead to significant savings for buyers who meet certain qualifications. 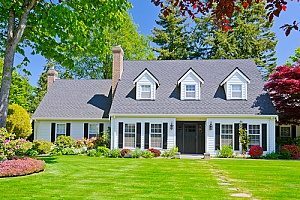 Even if you qualify for certain first time home buyer programs, it may be difficult to find covered real estate in your area. This is primarily because there is very limited housing availability covered under the Good Neighbor Next Door program due to the low purchase price of these homes. You are also fighting to buy the home against numerous other bidders who may be more qualified. As you are able to choose any home you want, the Teacher Next Door program is much more flexible which allows buyers to hunt for their dream home. Being a first time home buyer certainly has its benefits. First time home buyers programs are often sourced through local government agencies and non-profit organizations. Depending on the specific program, you can expect access to a wide range of benefits, such as down payment assistance, special housing units sold below cost norms, tax credits, and special programs for specific job positions like firefighters and teachers. 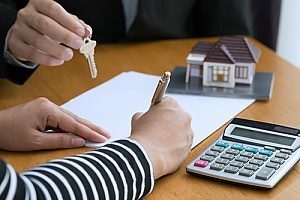 First time home buyer programs can typically be used in combination with popular home loan types, such as FHA loans and Fannie Mae and Freddie Mac loan programs that require just a three percent down payment. For many first time home buyers, coming up with a down payment and other costs of homeownership can be a challenge. Whether you are just starting a family or are still trying to pay off large student loans, finding the extra funds to put towards a home can seem impossible. Fortunately, there are numerous programs out there designed to help first time home buyers achieve homeowner status. For more information about the Good Neighbor Next Door program, Teacher Next Door program, or any other first time home buyer program, contact an agent at Fairfax Mortgage Investments to determine your eligibility.